Ireland (Part 3) Belfast and Derry! The Boyfriend’s family hails from the north of Ireland and he still has family there. 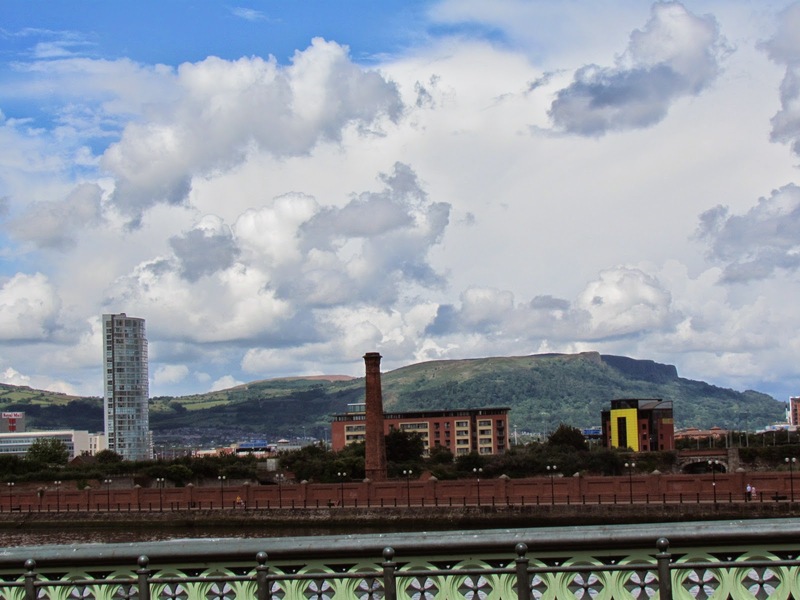 So our next stop on our whirlwind adventure was the city of Belfast. We hopped on a train and soaked in the scenery. The views on our way from Dublin to Belfast was even more beautiful then those from Dublin to Galway. 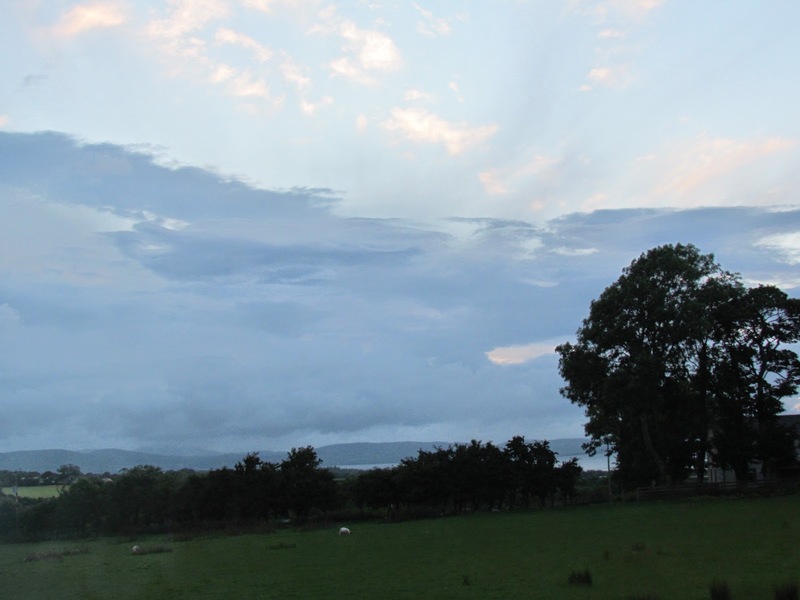 The rolling hills, lochs and seaside that flashed past our window was like something out of a fairy tale. Belfast is an awesome city. 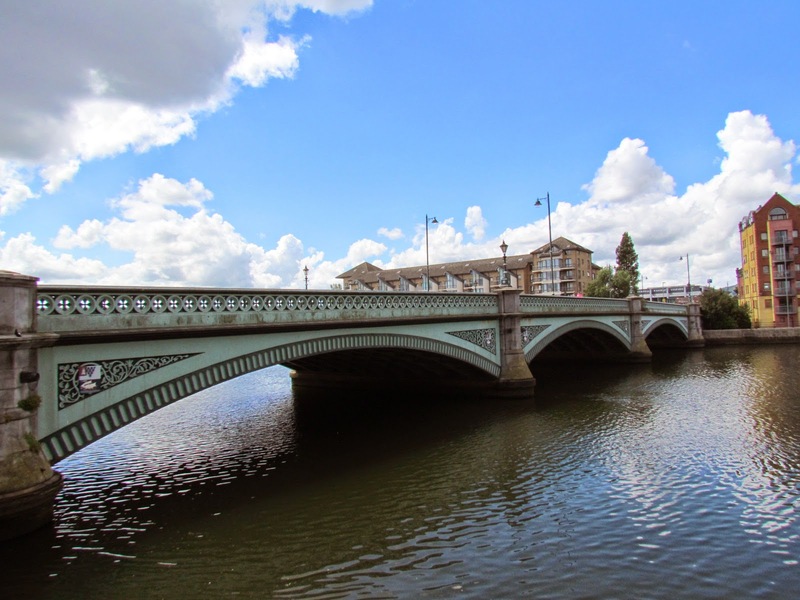 The city has a long and complicated history, the city has so much to offer. 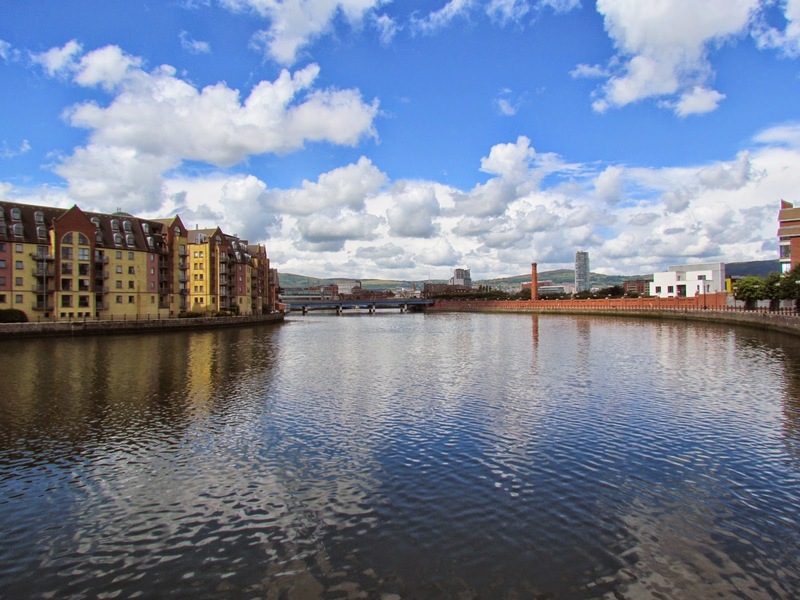 I highly recommend visiting Belfast if you make a trip to Ireland, you won’t regret it. Of course the North and South are completely separate, the North is a part of the UK and so uses pound stirling and miles instead of kilometers. Most tourist places will accept euros as well as pounds but it is best to bring pounds to buy food, cab rides etc. 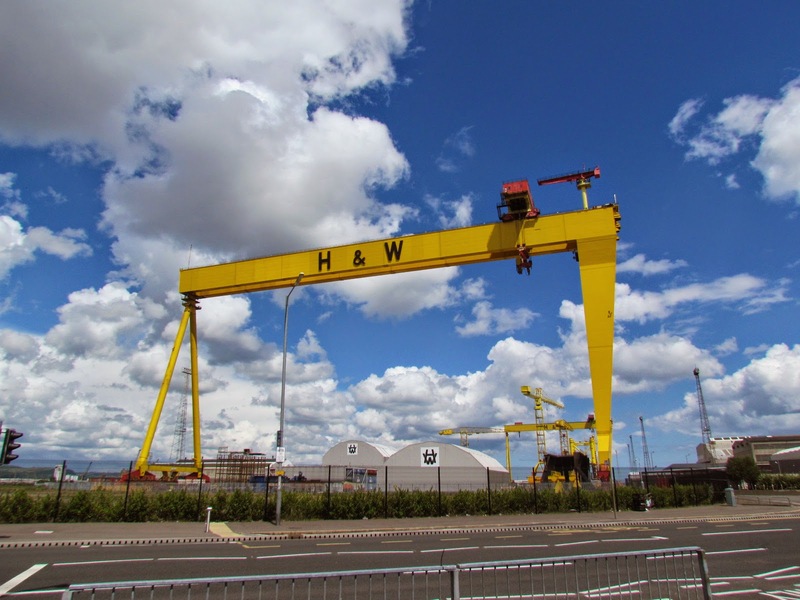 Samson and Goliath sit on the waterfront, they are two of the largest cranes in the world. 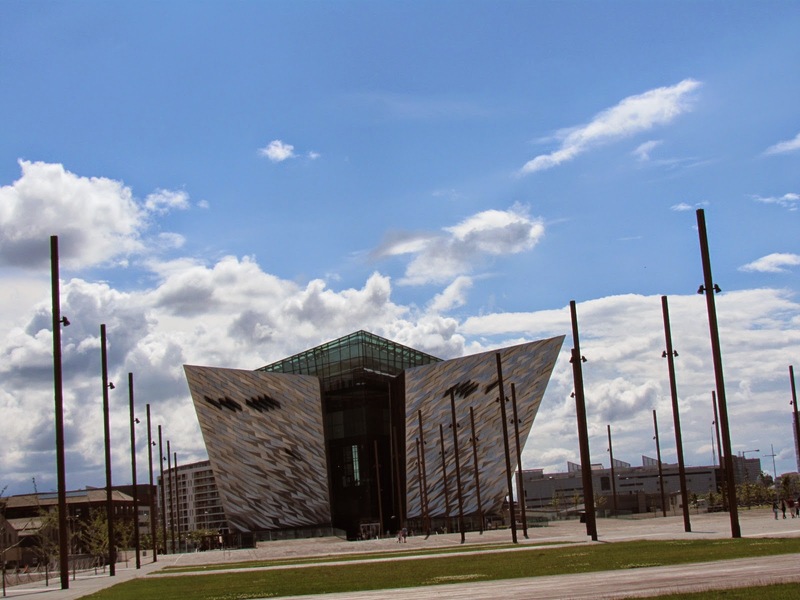 You can see them over the city straight away when you get off the train, and once you find Samson and Goliath you are close to the Titanic Museum. 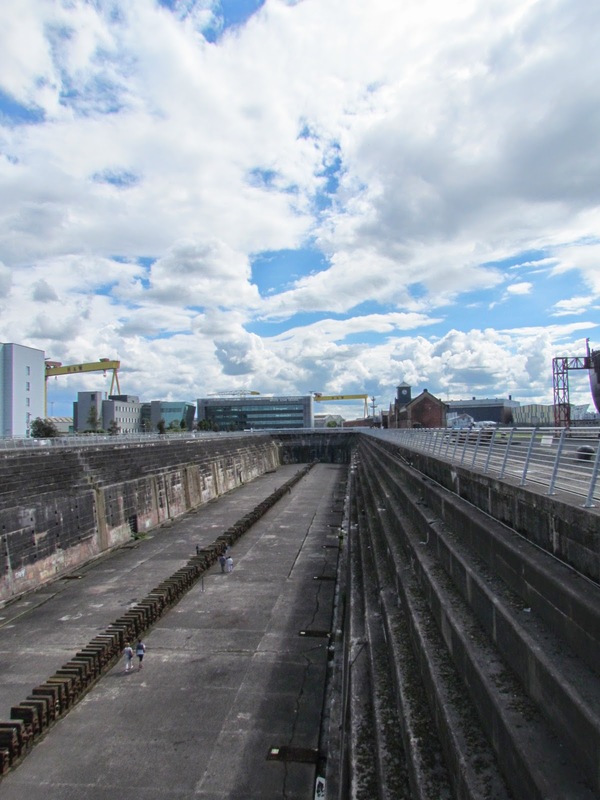 We checked out the newly opened Titanic museum. It was worth a visit, a lot of interesting history about the wider history of Belfast and Ireland at that time. However, for me I preferred the dry dock and pump house tour. For few pounds extra you get another ticket that gives you entrance to these actual historical places. 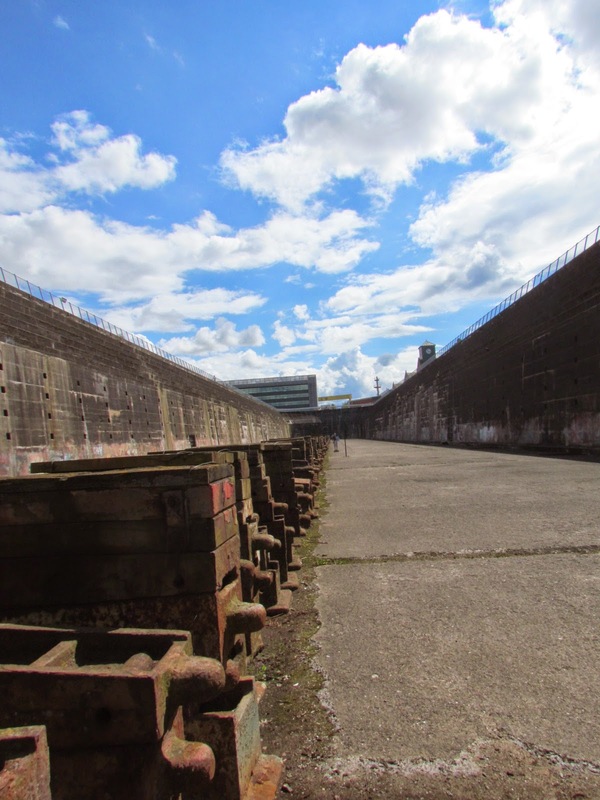 You can walk down into the actual dry dock where the Titanic was built. It is absolutely massive. See those two tiny people down there? That should give you an idea of the scale of the thing. They don’t usually do tours but they are giving guided tours at the moment to raise money for another project. The tour was well worth our time. The guide brought around with him a book of photographs. He would stop us along the tour route to show us the pictures that had been taken where we were standing. It really brought the history home and gave you an idea of just how massive that ship was! Walking down into the dry dock. 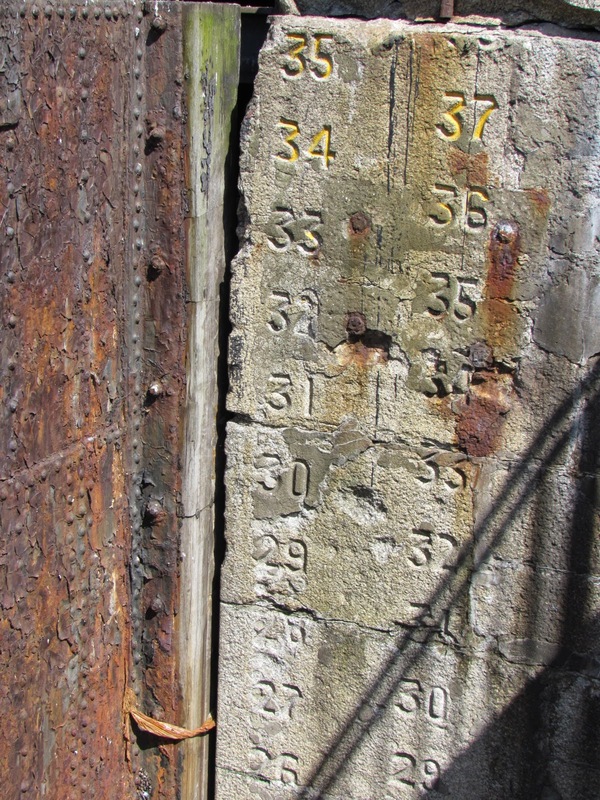 You can see the measurements along the wall for the water that would flood the dry dock when they were launching the ship. 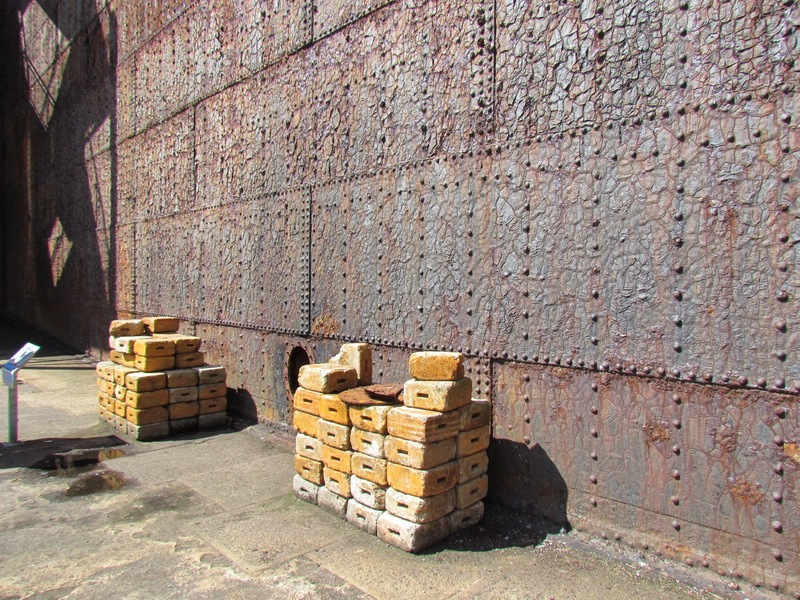 The original door is still there with the bricks that would be loaded in to keep it from floating away! The view from inside the dry dock. Unchanged in the hundred of years of history! After the visit to the dry dock we realized we were running late to meet the Boyfriend’s family. We weren’t going to catch our bus and so decided to rent a car. Best decision we could have made. The Boyfriend took to driving stick on the wrong side of the road without a problem. Which I was thankful for because the thought of it terrified me! I hardly have any photgraphs of that drive, but I will never forget it. 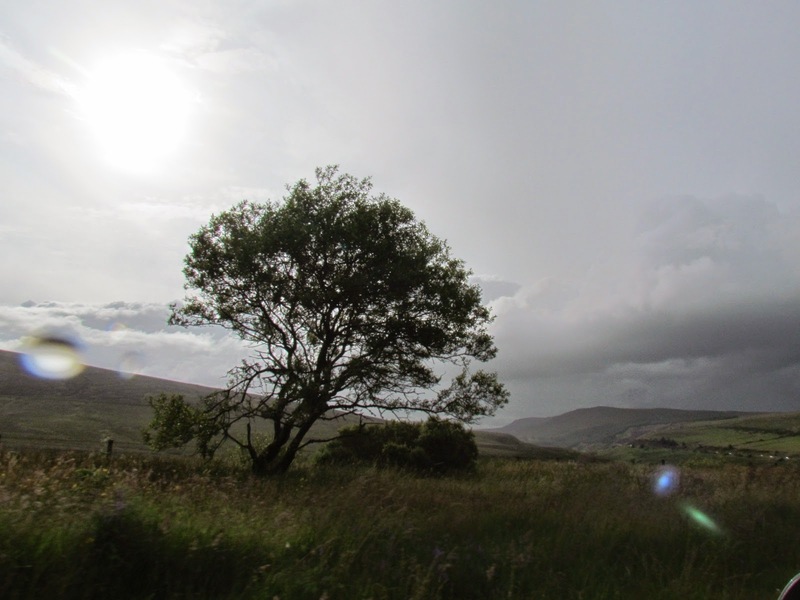 It was unreal, we were driving up into the Irish hills the landscape around us was awe inspiring. The Boyfriend’s family lives in the countryside close to Derry. The view from their front yard was incredible. I would love to wake up everyday and be surrounded by mountains, hills and a loch. We woke up early the next morning and were given a tour of the historic city of Derry. 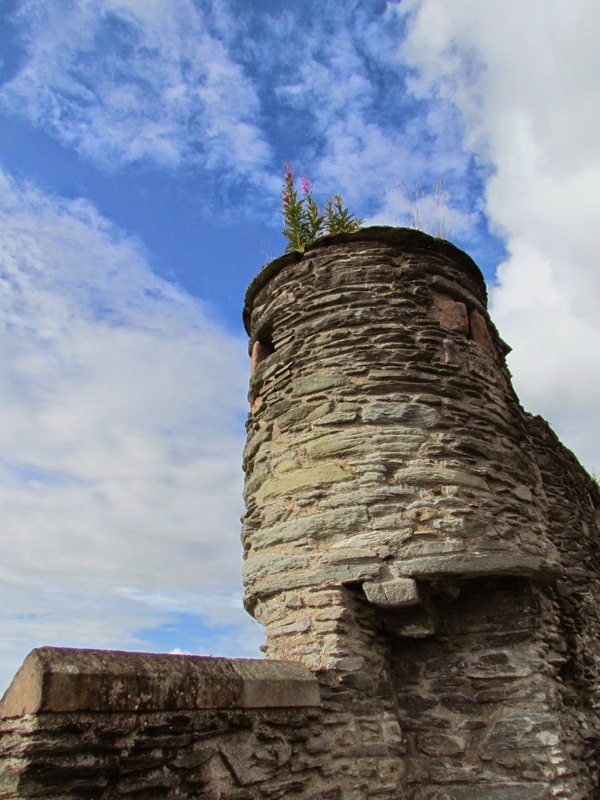 Derry is one of the last walled cities in Europe. 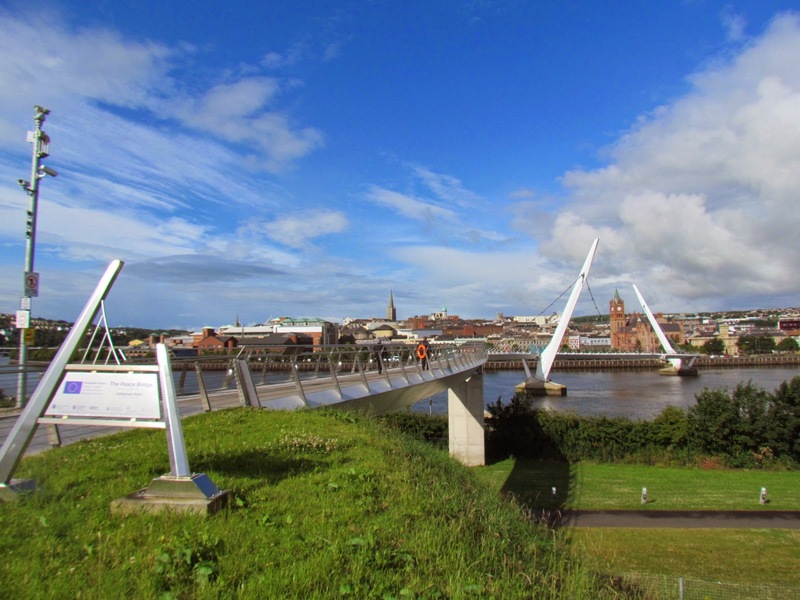 The bridge pictured above is the peace bridge linking the protestants and catholics. 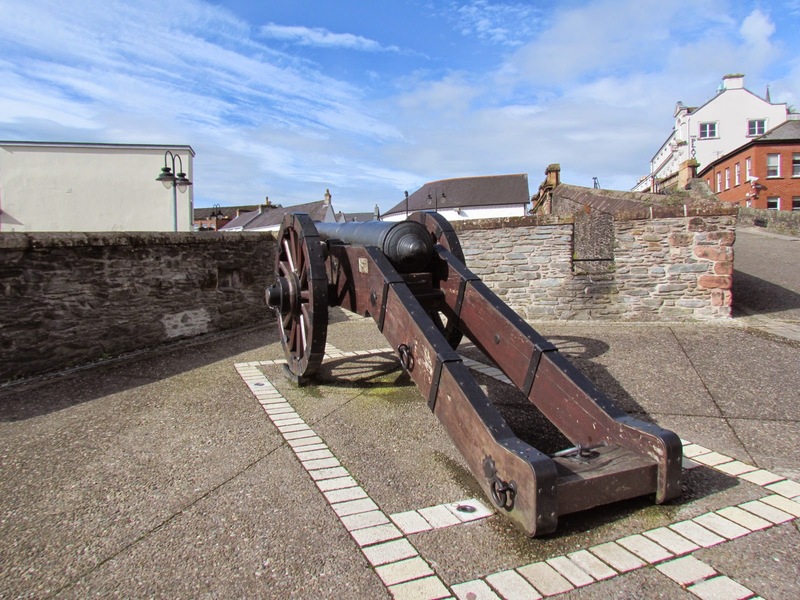 We walked the walls of the city, Where there are still canons from the siege in the 17th century. It was really special to be given the tour by The Boyfriend’s family who told us so much history. 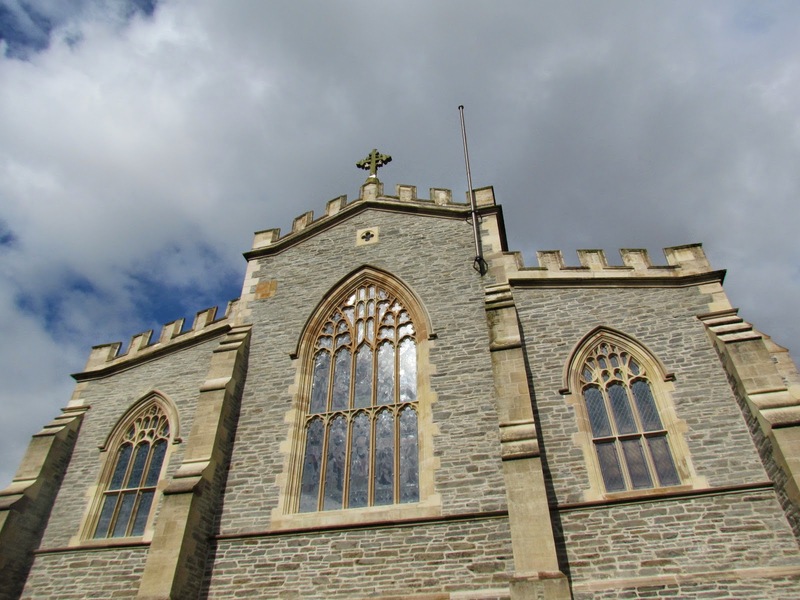 St. Columb’s Cathedral is an absolute must see if you visit Derry. The history of the place in unbelievable and it is such a beautiful cathedral. We were given an extra special tour due to a family connection and I will never forget it. It was a wonderful way to finish our morning in Derry. Check back tomorrow for the last instalment, all about Giant’s Causeway, the hills of Tara and Newgrange! < Previous Ireland! (Part 2) Galway you’re Gorgeous! Next > Ireland (Part 4!) Giant’s Causeway, the Hills of Tara and Newgrange.